Founder Chuji Machida’s preface to the first issue of TOYO KEIZAI SHIMPO, 1895.
and society is based on the sound development of individuals. keeping a watchful eye on its doings. 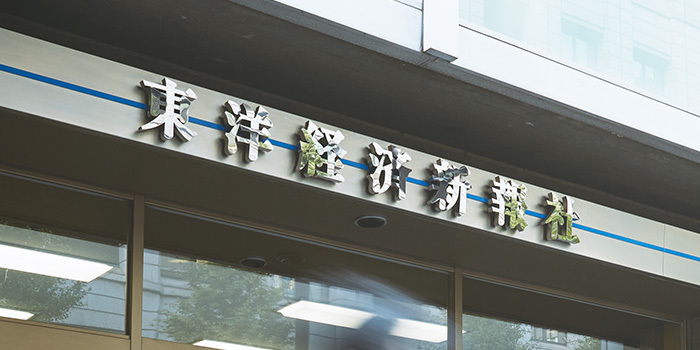 Toyo Keizai Inc. was founded in 1895, with the publication of its full-fledged economic magazine, TOYO KEIZAI SHIMPO. Founder Chuji Machida aspired to have his publication contribute to the sound development of the economy and society. This became our corporate philosophy, and as Japan’s politics and economy makes its way through a turbulent era, we have striven to pursue level-headed journalism and commentary that upholds liberalism, democracy, and international cooperation-oriented values without being influenced by any great power. Moreover, since the beginning, we have focused on collecting and utilizing statistical figures and data necessary for contributing to reasonable analysis and discussion. Passing on this tradition, our WEEKLY TOYO KEIZAI (Japan’s Oldest Business Magazine) and KAISHA SHIKIHO (Japanese Company Quarterly Handbook) publications, in addition to our economics and business books, and database business, now make up the backbone of our company. In recent years we have been making active contributions to the digital business, and TOYOKEIZAI ONLINE has grown to become the number one visited site among economic and business magazine sites. Furthermore, our company continues to promote business development in different media forms, including e-books and e-magazines, as well as seminar business projects. Toyo Keizai will continue making every effort to provide viewpoints and materials that contribute to economic and social development through quality journalism, presented from a fair, global perspective. The ubiquity of the Internet and smartphones has propelled the media business into the digital age. We were quick to take advantage of this evolution by providing information on TOYOKEIZAI ONLINE, online advertising, and developing e-books, e-magazines, and more. No matter how diverse media platforms become, we aim to offer economic-related information in the best way possible. WEEKLY TOYO KEIZAI is our flagship publication and the mainstay of our journalism. We are proud of this over 120 year-old publication, a representative general business magazine of Japan, which has guided our company’s report coverage and commentary. Additionally, our investor’s bible, KAISHA SHIKIHO, deals with the stock market and infrastructure. Our special team of reporters is instrumental to both of these publications. Books have long played a central role in Toyo Keizai’s publishing activities. We publish a hundred and several tens of books annually, many of which have become best or long sellers. Toyo Keizai’s books range from economics and business administration textbooks to specialty books, and from business practice and self-development publications that are useful for businesses, to cultural and financial books aimed at general readers, we strive to edit and publish a wide-range of interesting titles. The economic and corporate data we collect and disseminate daily is an essential part of the economic information infrastructure. In particular, the data issued by our reporters on corporate fundamentals and earnings forecasts is vital for the stock market. Thanks to our well-developed research capabilities, we have been able to create an exclusive database on corporations and regional areas that is highly praised for its excellent quality. Our promotion business offers all-around support for enterprise, university, and local government business activity. Providing friendly assistance on how to disseminate information a variety of ways, we are able to accomplish this through magazine advertising that makes use of our brand name appeal, online advertising able to reach a wide audience, along with seminars targeting selected customers. We also provide custom publishing and general bookstore distribution assistance.